Perhaps the first thing people usually notice about Anne's paintings are the eyes of her subject. So many have said that when you look into the eyes of one of Anne’s paintings you look into the soul of the animal and they are alive. Anne constantly strives to apply paint to canvas and create life. Anne was born into a family of talented painters and cannot remember a time when she did not draw or paint. She also cannot remember a time when she was not fascinated by animals, and the family pets included fish, mice and cats. 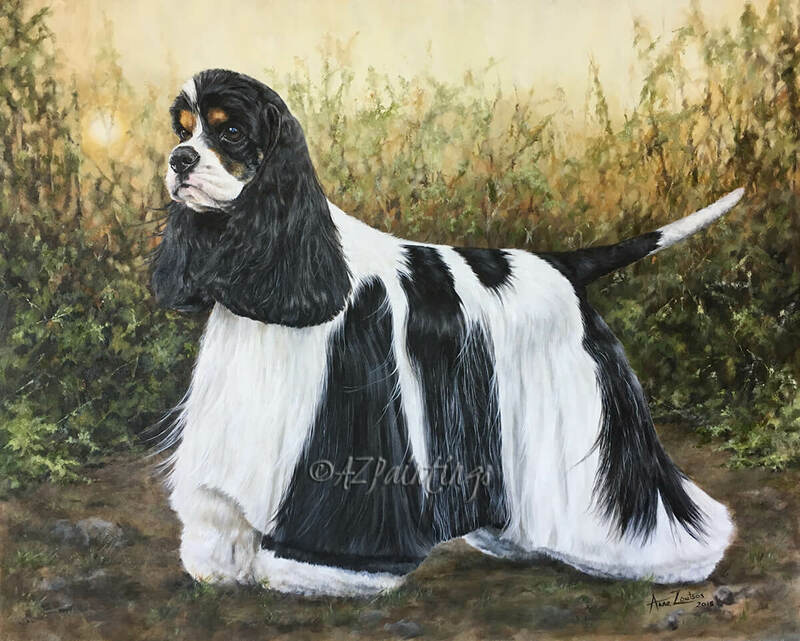 Within months of her marriage, she and her husband bought their first Dalmatian followed a couple of years later by a puppy who became a show champion. 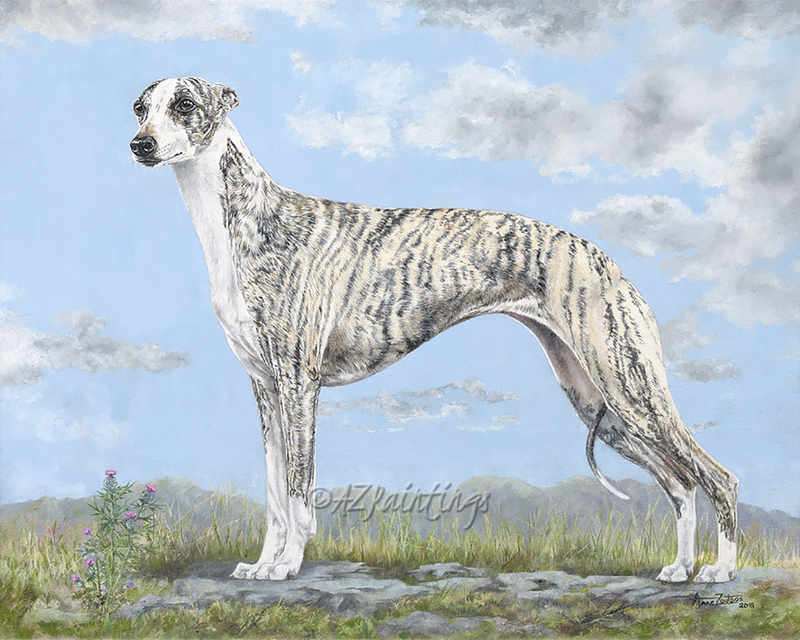 Anne and her husband’s present dog is the great great great granddaughter of this champion. 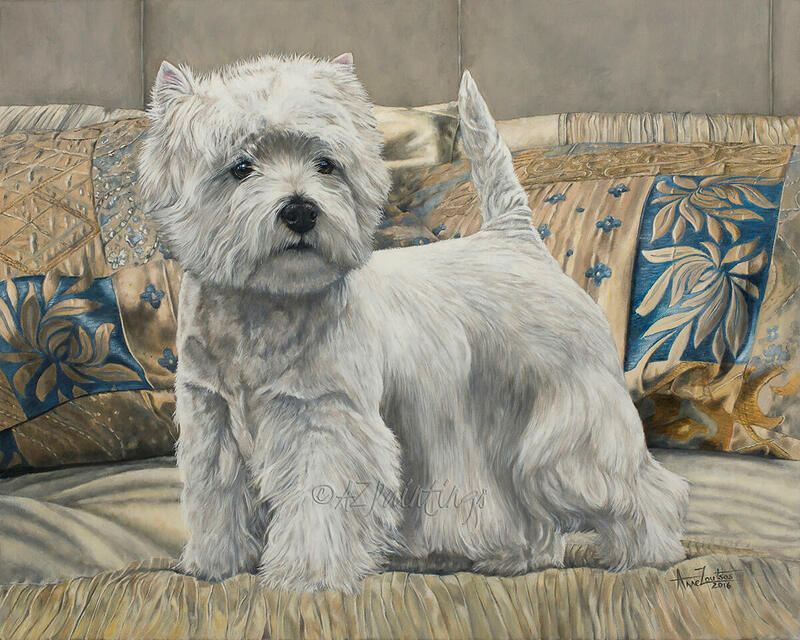 She is a beloved member of the family and has featured in many of her paintings. 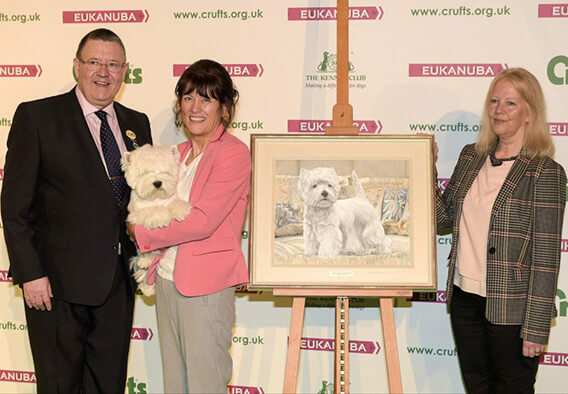 In 2016 Anne was approached by the Kennel Club Arts Foundation to paint the 2016 Crufts Best in Show winner, the Westie, Devon - Champion Burneze Geordie Girl.The painting was presented to the Kennel Club Arts Foundation Chairman, Tom Mather at Crufts in March 2017. Also present was Devon herself, together with Marie Burns her owner, who has received a limited edition print of the painting. 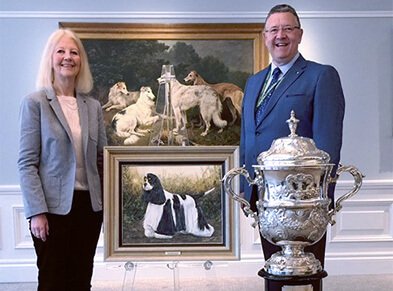 This was followed in 2017 by another commission from the Kennel Club to paint that year's Crufts Best in Show, the American Cocker Spaniel, Miami - Show Champion Afterglow Miami Ink.This photo shows Anne together with Crufts Chairman, Tom Mather at the Kennel Club in London. 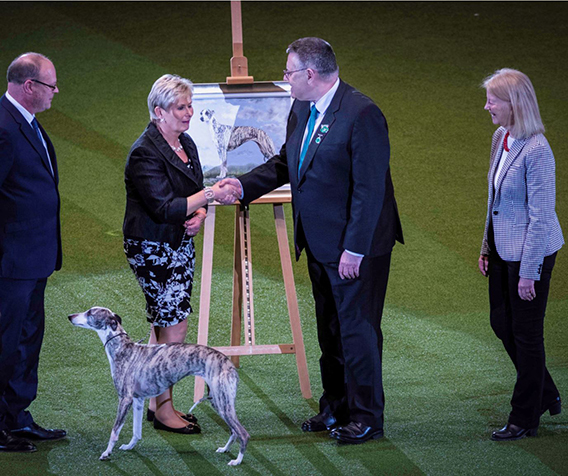 Once again in 2018 Anne was appraoched by the Kennel Club to paint that year's Crufts Best in Show, the Whippet - Tease - Champion Collooney Tartan Tease.This photo shows Anne together with Crufts Chairman and Chairman of the Kennel Club Arts Foundation, Tom Mather, Yvette and David Short and Tease. A small handful of comments about Anne's paintings. Everytime I look at the painting it is as if Zuhri has been momentarily brought back to life. ...it is perfect , I captures him exactly how he was. I am sat here In floods of tears thinking we have a lasting memory of him.thank you so much. ...loved his painting..he cried....he was very emotional... He said the same as me.. The eyes.. .